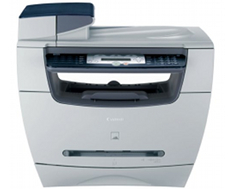 Canon Copier ImageClass MF5550 is a multi-function printer that combines printing, scanning, faxing and copying all in one ergonomically designed machine that suits well into home offices or small businesses that are keen on efficiency and suitability. Elegant, yet practical, the Canon Copier ImageClass MF5550 saves up on office space while still performing mutiple functions with ease, at a price most offices would appreciate. The Canon Copier ImageClass MF5550 boasts an unusual but creative design, with its body shaped with a sliding curve that broadens upward, similar to an ordinary bowl or vase. The MF5550 should fit nicely in a small office without appearing too bulky or hefty as opposed to most printers with cube-like features. With dimensions of 20.0" x 19.1" x 18.1" and a 30.5 lb weight, the MF5550 is easy to set up within any home or office space. The MF5550 has a 250-sheet capacity tray, with a single multi-purpose feeder especially designed for thicker media such as envelopes. Printing can also support weights of 17 to 34 lbs. The printer speed of the MF5550 is at a decent 19 pages per minute for monochrome, with a print resolution of 600 x 600 dots per inch. Copier functions for the MF5550 yield a similar speed to its printing capabilities, clocking at approximately 19 pages per minute. 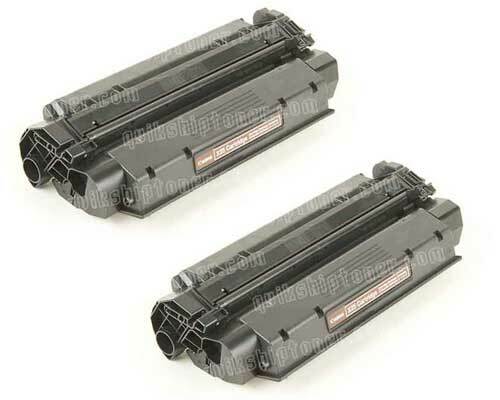 The copier also boasts features such as memory collate and toner saver, quite capable of significantly increasing the toner's longevity. The MF5550 copier also has a zoom feature, with 50-200%. This zoom feature can be adjusted on a 1% increments, which allows users precise reduction and enlargement of their documents. Scanning with the MF5550 boasts resolutions of up to 1200 x 2400 dots per inch for its optical scan and up to 9600 x 9600 dpi for its interpolated resolution. These features make for excellent document scans and superb quality for images and graphics. The machine's color input depth is at 48-bit, relatively higher than a number of other multi-function printers in the market. The maximum scanning area for the MF5550 is at 8.5 x 14 inches. The MF5550 also boasts high speed faxing, with a 33.6K bps modem speed. The MF5550 can also store up to 99 messages which can be used if the machine temporarily runs out of ink or experiences a busy fax line. The resolution for its fax is at 203 x 196 dpi maximum, or the Fine mode in the menu. Dialing features include 100 coded speed dials and storage of up to 12 speed dials. The MF5550 boasts a 50-sheet automatic document feeder, with other features such as polling reception and activity reports done with the machine. The MF5550 also looks to be an energy efficient, with only a maximum power consumption at 670 watts. For a multi-function printer, the MF5550 consumes less power compared to other single or multi-function printers today. One of the MF5550 critcisms stem from the lack of fax driver. Finding and installing fax drivers are considered to be quite tedious, so the fax driver's inclusion should have been a nice edition to maximize its all-in-one feature. Printing and copying speeds, though considered fast, are relatively below the capabilities of printers in the multi-function variety. The graphic and image quality for printing also leave room for improvement, as other printers, especially multi-function ones, have higher resolutions compared to the MF5550. Another letdown is MF5550's noise production, although this is mostly common among printers in this class. The paper tray also tends to be a bit flimsy and can be prone to jamming if not handled with extra care. Review it: "Canon imageCLASS MF5550 "
The MF5550 carries the single cartridge system which makes for a more efficient set up and replacement of the machine's cartridge and drum unit. 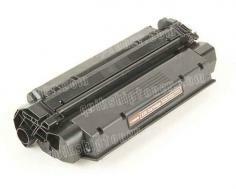 Replacement for toner cartridge in monochrome may cost around $80, with page yields of up to 2,500. With the MF5550 toner saver mode, this can reach up to 7,000 page yields. Maximum monthly duty cycle and recommended monthly yield is at 10,000 and 500-3000, respectively.